3rd BRIGADE 1st DIV. 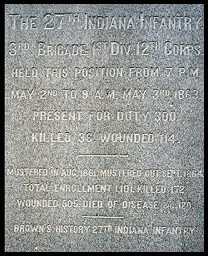 12th CORPS. HELD THIS POSITION FROM 7 P.M.
MAY 2nd TO 9 A.M. MAY 3rd, 1863. WOUNDED 505. DIED OF DISEASE &c. 120. Jackson was not the only Confederate General to die in the battle of Chancellorsville. 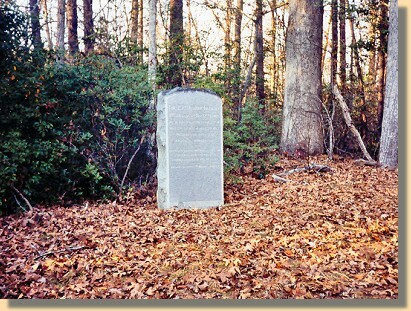 The next day, May 3, 1863, Brigadier General E. F. Paxton, ironically, leading the Stonewall brigade , was killed. 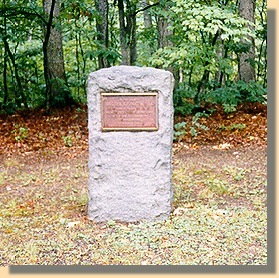 Monument indicating where Paxton was Shot. BRIG. GEN. E. F. PAXTON, C.S.A. AGED 35 YEARS, OF ROCKBRIDGE COUNTY, VA. IN THE ATTACK ON FAIRVIEW.